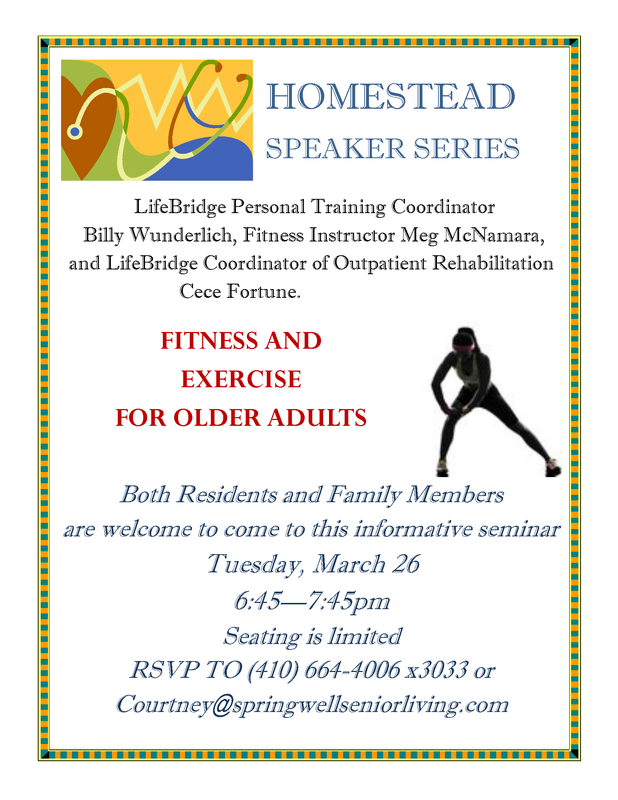 Hear from Springwell’s Fitness Instructor, Meg McNamara; LifeBridge Health Personal Training Coordinator, Billy Wunderlich and LifeBridge Health Coordinator of Outpatient Rehabilitation, Cece Fortune. Both Residents and Family Members are welcome to come to this informative seminar. Panel discussion with Dr. Robin Wilson MD, PhD Board Certified Neurologist LifeBridge Health Brain and Spine Institute; Dr. Frank Schindler, PhD and Anita Green, LPN Springwell Memory Care Director.